Video audio out of sync issue is a common complaint from GoPro users. For example, GoPro Hero 7/6/5 raw footage lags behind the audio from the start/middle or any other playback positions; when in Adobe Premiere Pro/Lightworks/GoPro Studio etc, the sound and visuals aren't matching up; the audio is played slower than the video after importing to iPhone, VLC, PC, uploading to YouTube etc., the list goes on. It's even more disappointing that we can find little in-depth troubleshooting on the GoPro community. In fact, GoPro video audio out of sync issue can be easily solved using VideoProc's timestamp calculation feature. Offer "Force A/V Sync" option for desynchronized videos recorded by GoPro. 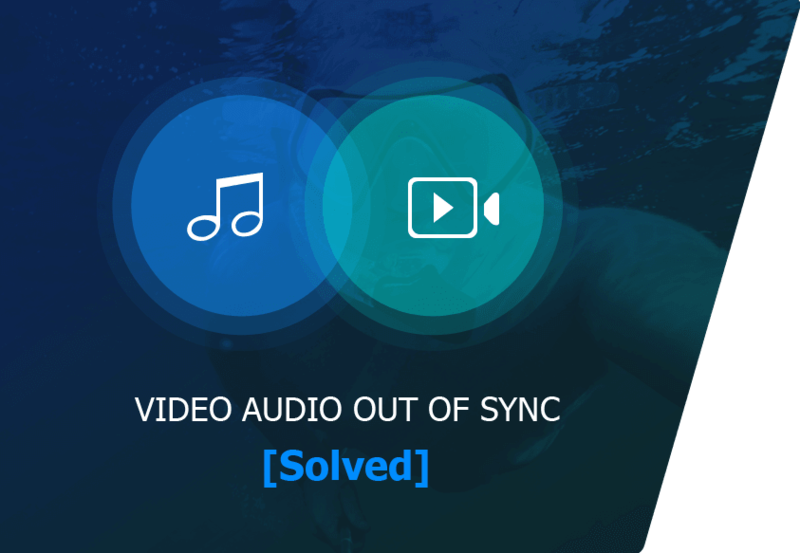 Solve unsynchronized GoPro video and audio problem in a simple click. Remove background noise from GoPro video clips. Edit and add effects to GoPro footages to create a stunning work. Download VideoProc to solve GoPro audio issue in a flash! Step 1: Click on Video, click the add video icon on the pop, and then select the video recorded by GoPro from your computer. Step 2: When the video is loaded, you will see video editing options. Click the Rotate tab, look to the bottom of the rotate window, and tick the checkbox Recalculate Time Stamp (Force A/V Sync). A Warning window pops up with a message telling you that this option will force syncing video and audio, just click Continue and go back to click the Done button to make it valid. Step 3: Click the RUN button, and it's done. You don't have to spend hours setting the time delay between GoPro video and audio tracks. ● Check the micro SD card. Improper SD cards for GoPro cameras can lead to unexpected problems, including GoPro audio sync issue. You'd better use SD cards recommended by GoPro, which has been proved to deliver better results. ● Reformat your SD card. This can help the card work well with your GoPro camera. But remember to back up the existing videos and images before you do so since reformatting will remove all the data on the card. ● Perform firmware update to SD card. A software update possibly correct GoPro sound issues, such as out-of-sync audio, missing audio, etc. ● Test with other audio options when recording. The GoPro Hero 6 and Hero 5 Black cameras feature a separate raw audio track option with Low, Medium and High settings. With raw processing, users may record a silent sound file. When the audio is on Auto mode, GoPro camera may make some adjustment, which possibly causes audio delay. ● Reset GoPro camera. A simple resetting always fixes various problems caused by wrong camera settings. If you are confused with GoPro Hero 6/5 Black video audio out of sync issue, reset your camera settings and see whether it works. ● Check your video players. After importing footages shot by GoPro to PC, Mac computer, iPhone etc. video loses sync with the audio. Try another video player to test if it's the media player that results in GoPro desynchronized video and audio. Some media players, such as VLC, can fix audio delay. If the image lags behind the sound, press f; if the audio is played slower than the video, press g.
● Export the footage to see if it plays well. Some users find the GoPro clips are fine after exporting (Also read how to fix GoPro Quick won't import files). ● Extract audio and sync it up with video. Import extracted audio separately, set the audio to the correct length and check. ● Transcode GoPro project. Convert the problematic clip to the best format for the video editing software you are using and reimport it. ● Update your video editor. Check if there is a new version available and update the program to the latest version. 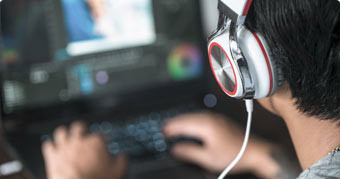 ● Resort to other easy video editing tools. Improper editing and software limits/bugs can lead to GoPro clips not ending simultaneously with the audio. Note: Some tips like transcoding videos are not good for the long term if you have to do it every time you import and render the project. To make things easier, we recommend you to try VideoProc that is able to sync images and sound in a click and process (edit/compress/transcode etc.) GoPro projects with full hardware acceleration. Issues 3: GoPro video and audio lose sync after uploading to YouTube etc. Some clips filmed by GoPro have out-of-sync audio after sharing to YouTube, Facebook, Instagram etc. social networking sites. Footages are ruined by sync issues. ● Refresh the GoPro video page on YouTube and play it again after it is fully loaded. ● Open the source GoPro footage you upload to YouTube with media players to check if the original recording from GoPro camera plays correctly. The source video gets out of sync with the sound. ● Check the length of GoPro raw audio and video tracks. If the duration of the video and audio are different, it could bring you sync problems. ● Make sure GoPro projects video audio settings match YouTube upload settings. ● If everything is right and the problem exists, use VideoProc to sync it up simply. 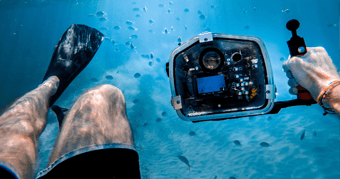 Why Is Your GoPro Video Blurry? How to Fix Blurry GoPro Video? Gabriel is a technical editor with several years of writing experience. Gabriel covers video processing, post-production, hardware, Windows, Apple's Macs, iPhones, iPads, and all kinds of technology topics. He loves collecting cool gadgets and trying new things like virtual reality, drones, 8K TVs and the latest 4K games. He also has interests in reading, photography, climbing, scuba diving, and tennis. 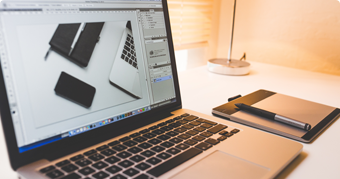 Aiming to be the leading digital media company, Digiarty Software, Inc. is dedicated to providing professional and innovative multimedia software for all Windows and Mac users. GoPro Studio has been Removed from Quik. How to Download it now?